Leasing a car can be confusing for first-time consumers and often, these consumers come face to face with dilemmas they put themselves in. If you are one of these consumers, here are some mistakes to avoid when having a leased car. Going over the mileage limit stated in the contract leads to fees you wish you weren’t paying along with your monthly payments. When negotiating a mileage limit, give yourself enough room depending on your work status or other factors that lead into how much your drive. Also, what if you need to make an unexpectedly long trip? At times, consumers agree to very small limits and soon regret it. Choose a limit that is flexible to your needs. When leasing a car, a few minor scratches is expected since we can’t really put a leased car in a protected bubble. However, if you turn in your leased car with more than just minor imperfections, you should expect to pay up for the damages. Any damage that happens to your leased car is your responsibility. From dents, to paint being removed from an accident, whatever it is, the consumer of the car needs to get those repairs done out of pocket before turning the car back in to avoid penalties. We get it, you just got your leased car and you are ready to take it home! Before you do that however, slow down and have it inspected by either the dealership you are leasing from or a certified mechanic. You don’t want to drive home with damages you didn’t cause, because in the end, you will be paying for them. Many times, consumers want the car of their dreams and since they are leasing, they assume that since it is cheaper, they can get the fancy car they want. However, it doesn’t necessarily mean they can afford it. Be sure to go through your calculations and expected expenses on your car before leasing to make sure it fits within your budget. Take these tips with you if you plan on leasing a vehicle or you already have your first leased car! Some leasees find themselves ready to give up their leased car before their lease period ends. The majority of these leasees are transferring their lease for the first time and it is helpful to know a few important factors that go into transferring a car lease to a new owner. If you fall into this category, read below on how you can successfully transfer your car lease! Leasing companies tend to allow transfers of leases, but there are a few out there who do not have this option available. You should read your lease contract or ask the leasing company if they can transfer. Also, if a company does have the option to transfer, lease transfer must have fallen between a certain time frame after the car has been leased. Who Can Take Over Your Lease? Whether the transfer is for a close friend, family member, or some random person who is interested, you should give a detailed explanation of what the terms are of the lease and what payments still need to be made. If you have trouble finding someone to transer your lease to, try posting classified ads in the local newspaper, posting an ad in your local supermarket, or posting on a public online message board. Found A New Lease Holder, Now What? Once you have found someone agreeing to take over your car lease, it is necessary for them to complete a credit application, which is available if you call your leasing company and grab a copy of the application or the new lease holder calls and gets one. Once the credit application has successfully gone through, it is smooth sailing from here. You and the new owner of the leased car will need to complete a short transferral form to complete the process. The leasing company will notify you when the transfer is complete and will give the car to the new owner. The opportunity for you to transfer your lease is an easy process with Swapalease.com! 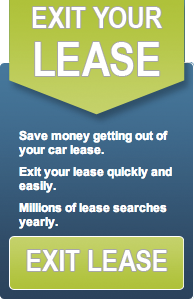 Swapalease.com is the largest online lease marketplace with the best car lease deals. Call to learn how you can have a successful car lease trade at 866-SWAPNOW. 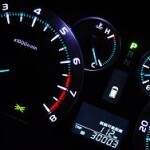 Summer is blazing away and consumers are in season to trade in their car or lease out a car. Cruising in a two-seater actually sounds pretty nice as your next ride, right? Because of the summer traveling you might do or just want to downsize the size of your car, here are the top three fuel-efficient two-seater coupes and a few features! Dive into their specs and see which one is calling your name! Features: LED headlights, black drop top with rear glass window, Bluetooth, and dual airbags and side-impact airbags. Engine: 2.0 Liter. 258 lb-ft of torque, 220 horsepower, 6-speed S tronic® dual-clutch transmission, and quattro® all-wheel drive. Features: Full LED headlights, rearview camera, Audi Side Assist, Bluetooth, and driver and front passenger dual-stage airbags, front thorax, side airbags, knee airbags, and Sideguard® head curtain airbags. Engine: 2.7 Liter, 6-cylinder, 275 horsepower, 213 lb-ft torque, and 6-speed manual rear-wheel drive and PDK Automatic. Features: Low and high beam xenon headlights, ambient dimmable LED lighting, high-resolution 4.6 in. color display, Bluetooth, and full-size front, head, thorax, and knee driver and passenger airbags. The movement of the auto industry going greener is moving quickly and more car brands are jumping on board with releasing either all-electric cars and/or hybrid cars. Here are 5 eco-friendly cars to consider arriving this fall and in 2018. 2.5L 4-cylinder mill with dual VVTi (Variable Valve Timing with Intelligence) with an electric motor to deliver more than 180 HP @6,000 RPM and 174 lb-ft torque @4,200 RPM. 37 mpg city/33 hwy and 35mpg combined. All-electric drive range of up to 50 miles. Expected arrival: Fall 2017. Ready to make the move to a fuel efficient and eco-friendly car? Swapalease.com offers a handful of options you can lease at a great deal! If you are looking to get into or out of a leased vehicle, check out the selection of vehicles online at Swapalease.com. For more information on finding the best car lease deals or to learn how you can have a successful car lease trade, visit Swapalease.com or contact them at 866-SWAPNOW.